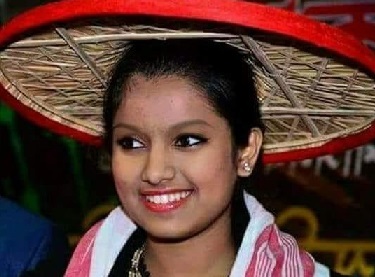 Assam’s singing sensation Nahid Afrin has secured 91.5 per cent marks in the HSLC examination, the results of which were declared on Friday. She scored 549 marks (91.5 per cent). She got letter marks and distinction in all the subjects. She is a student of Little Star High School, Biswanath Chariali, Assam. She first gained recognition as a participant in the 2015 edition of Indian Idol Junior. She was also seen in the reality show Little Champs North-East in 2013 where she was runner up. In 2016, she made her debut as a playback singer in Bollywood film Akira, starring Sonakshi Sinha in the lead role. Her parents are Fatema Ansari and Anowar Ansari. She has won many award for her singing like Achiever Award 2015 – Pratidine Times, Needs Excellence Award 2015 as YOUTH ICON (SINGING), Prerna Award – as The Promising Best Singer 2017, Gana Adhikari promising artist award 2017, Best Female Playback Singer 2017 for the song DHUNIYA JON – Pride East Award 2017. Assam’s singing sensation Nahid Afrin has secured 91.5 per cent in the HSLC examination, the results of which were declared on Friday.